The South African Mint, a subsidiary of the South African Reserve Bank has announced its first ever Natura coin in fine silver. The Natura series, first minted in 1994, has never been produced in any other metal besides gold in its 25 year history. 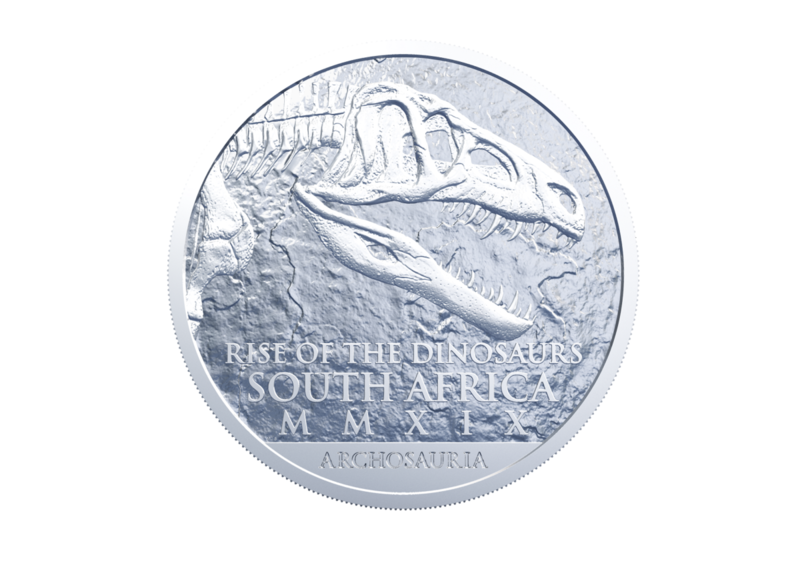 In September, the SA Mint launched its five-coin Natura Palaeontology Collection in 24 carat gold bringing to life the ‘Archosauria’ – crocodiles, pterosaurs, dinosaurs and birds or the ruling reptiles that roamed and soared freely in Southern Africa some 200 million years ago. The silver Natura keeps the theme underscoring the importance of the period in the continent’s history. The birds and crocodilians that exist today are the only remaining descendants that provide a glimpse to the glorious past of the archosaurs. Originating approximately 250 million years ago, the Archosauria became one of the most diverse and successful vertebrates on earth. The silver Natura features the poster child of all archosaurs, the dinosaur. “There were two important considerations in announcing the Natura in silver; one, the metal is affordable, and the finish and sheen we can achieve makes it immediately desirable and secondly; at that price point, we can bring in more hobbyists into our fold. “Furthermore, our products have a stellar reputation for quality, making them more appealing,” said Tumi Tsehlo, MD, South African Mint. The Karoo basin in South Africa provides a historical record of biological change over the end-Permian (252 million years ago) and the end-Triassic (200 million years ago). While palaeontologists remain divided on exactly which of the archosaurs is the ancestor of dinosaurs, it is likely that the dinosaurian ancestor was similar to Euparkeria, a small archosaur that is well known to the region. 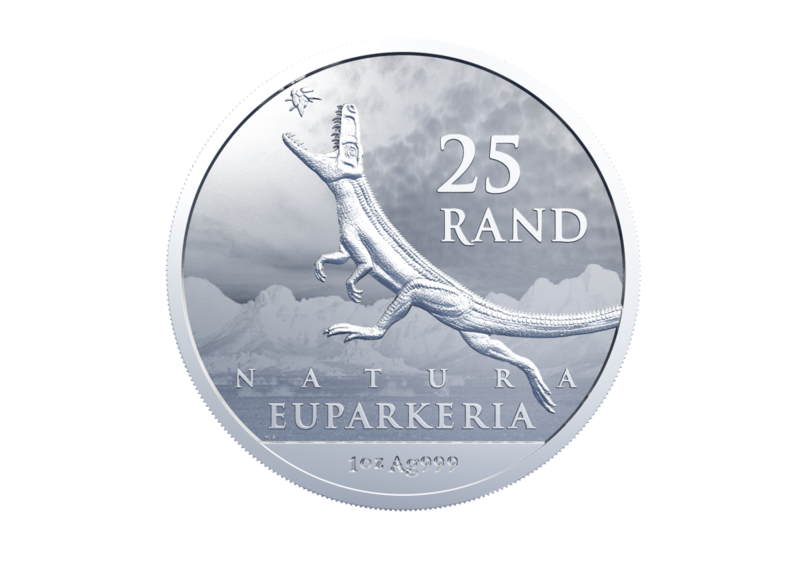 The fine silver Natura coin depicts the Archosauriform together with its scientific name ‘Euparkeria’, the word ‘Natura’, the denomination R25, and the mass and metal value of the coin.  The obverse features the words ‘The rise of the dinosaurs’, ‘Archosauris’ and the year 2019 written as roman numerals ‘MMXIX’. Also shown is the fossilised skull, neck and shoulder of an Erythrosuchus africanus.